Software Testing Tools ( Manual Testing & Selenium Testing ) Online Training course going to starts on April 8th ,9th. Software Testing Tools is the most popular course in these days. If you want to start your Software testing career this is the perfect time to start with the best Online training at the most affordable price. Software Testing Tools ( Manual Testing & Selenium Testing ) Online Training course going to starts on April 4th ,5th. 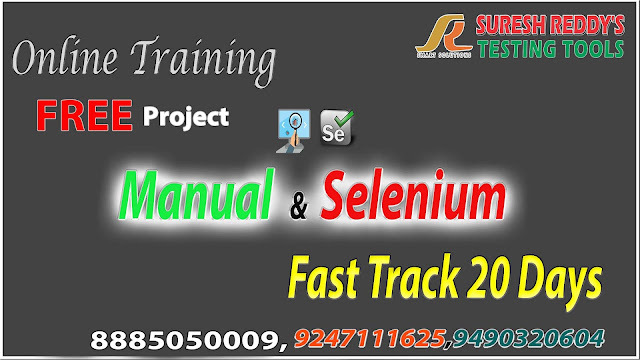 Advance Software Testing Tools ( Manual & Selenium & UFT ) Online Training course going to starts on March 27th,28th. QTP/UFT Testing Training ( Licences Software ). Manual Testing + Selenium Testing. Manual Testing + UFT Testing. Best Software Testing Tools Online Training course going to starts on March 20th,21st. QTP/UFT Training ( Licences Software ). Best Advance Software Testing Tools Online Training course going to starts on March 13th,14th. 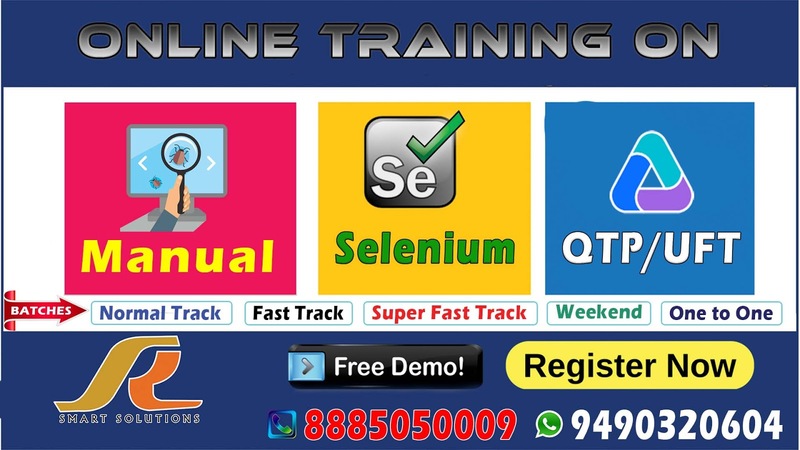 Best Software Testing Tools Online Training course going to starts on February 28th. Manual Testing + UFT Testing . Best Software Testing Tools Online Training course going to starts on February 14th, 15th,18th.